Favourite match is: Barbarians vs New Zealand 1993. 1993 was the year I really got in to rugby (I was 14, I\'m 35 now) and just thought it was a great match. Still remember most of the 30 players that played that day. The Barbarians have really being damaged with rugby going professional, in my view, as they just can\'t get the world-class, exciting players of old. Joe Schmidt has named 38 players for Ireland’s upcoming November Series. Ireland will play South Africa, Fiji and Argentina in the Aviva Stadium. The First match takes place against South Africa, on November 11th. A Leinster side beset by injuries have named an under-strength side for their 11-day odyssey to South Africa. 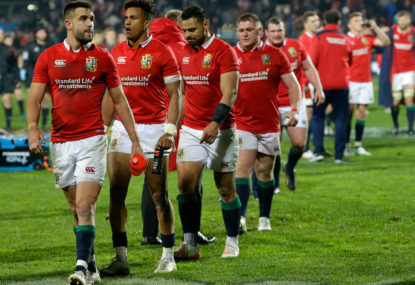 The British and Irish Lions have levelled the 2017 series, after beating New Zealand in a thriller, 24-21, in the Westpac Stadium, Wellington. Sam Warburton returns to captain the British and Irish Lions, in the second match of the series against New Zealand, this Saturday at 8.30 am. After the All Blacks' win, where to now for the Lions? The New Zealand All Blacks have beaten the British and Irish Lions, 30-15, in the first Test of the 2017 series. Although the Lions managed to score one of the great tries, they still went down to a superior New Zealand side. 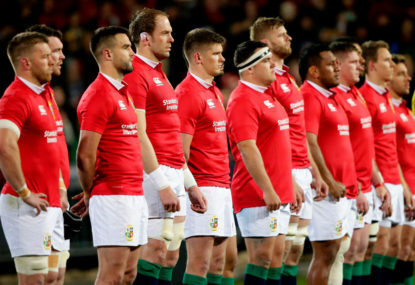 Can the Lions beat New Zealand? 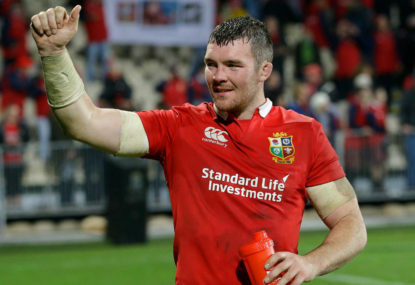 Peter O’Mahony will captain the British and Irish Lions in the first match of the Test series against New Zealand, this Saturday, 24th June. 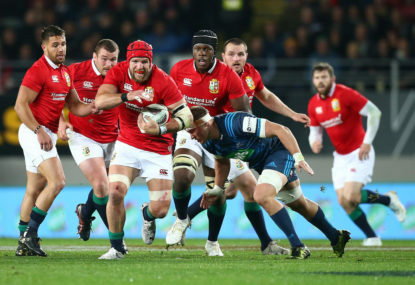 The British and Irish Lions scored a decisive win against the Maori All Blacks, 32-10, on Saturday. And now it looks like the majority of the 23 will feature in the first Test. Munster captain, Peter O’Mahony, has been chosen to lead the British and Irish Lions in their match against the Maori All Blacks (previously known as the New Zealand Maoris), which takes place this Saturday at 8.30 am (Irish time). Can the Lions beat the Crusaders? Warren Gatland has picked what could be the strongest Lions squad for the match against the Crusaders this Saturday at 5.30pm (AEST). The British and Irish Lions have lost their first match of the 2017 tour, falling to the Blues in Auckland’s Eden Park. The Blues won the game 22-16, scoring three tries to the Lions’ sole effort. An all new Lions 23 will take the field on Wednesday, in the second match of the tour against the Blues (KO 8.30 am British Standard Time). Well, the 2017 Lions have won their opening fixture in New Zealand but it was a close run thing. The British and Irish Lions have selected a strong team to take on the New Zealand Provincial Barbarians, in the first match of the 2017 tour, which takes place this Saturday. Sam Warburton has been selected as the captain of the 2017 British and Irish Lions squad. England are looking to win their 19th match in a row – a world record – when they face Ireland at the Aviva stadium, on Saturday, March 18th at 5pm. Ireland will field an unchanged side when they take on Wales at the Principality (formerly the Millennium) Stadium in Cardiff this weekend. 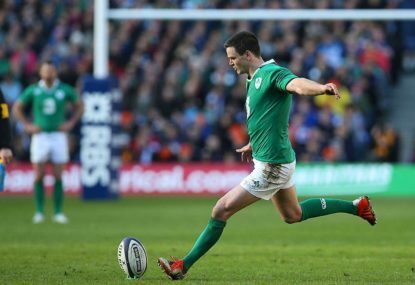 Who deserves to be Ireland's fly-half? 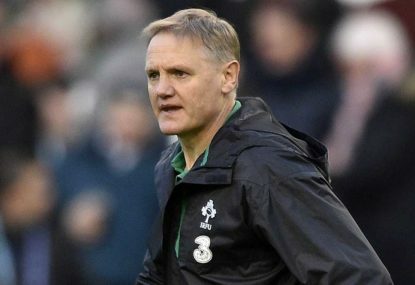 Coach Joe Schmidt has picked a 34-man squad for Ireland’s Six Nations game against France this weekend. The squad contains a couple of surprise omissions. Cian Healy and Donncha Ryan have been brought into the Irish side to face Italy in Rome. They are the only changes to the XV that lost so decisively to Scotland on the opening day of the Six Nations. Antoine Dupont has being ruled out of the rest of the 6 Nations, as has Josh Van der Flier. STUART HOGG: Scottish full-back was first on most pundits’ test teams. Player Of the 6 Nations 2 years in a row. Still suspect defensively. TOMMY SEYMOUR: Played for Ireland in the U-19 World Cup (2007) before declaring for Scotland. 16 tries in 36 tests. ANTHONY WATSON: 13 tries/26 caps. JONNY SEXTON: One of the best out-halves in the world. Started in all 3 tests on the 2013 tour. Will be a marked man. GREG LAIDLAW: Record for most tests as Scotland captain. Led Scotland to its most successful 6 Nations campaign in over a decade with 3 wins from 5 games. 3rd in Scotland’s most points record. Uncle Roy played in all 4 tests for the Lions against the All Blacks in 1983. Greig will hope his record is more successful (’83 Lios were whitewashed). TAULUPE FALATAU: World class no.8. Integral part of Wales’ Grand Slam winning side of 2012. Played in the victorious 3rd test for the Lions in 2013. SAM WARBURTON: Lion king. Led Lions to their first winning series since 1997. Only second man in history to captain Lions on 2 tours, after Martin Johnson. World class at open and blind side. ROSS MORIARTY: Uncle Richard captained Wales to third place in the 1987 World Cup. Bone crunching tackler. Completes all-Wales back row in game against NZPB. IAIN HENDERSON: Versatile as both lock and flanker. Could be Ulster’s best second row since Paddy Johns, or even Willie John McBride. ALUN WYN-JONES: 6 Lions tests. Lions captain in 3rd test in 2013, after Warburton got injured. Best second row in history of Welsh rugby. KYLE SINCLAIR: Debut season of test career has seen a meteoric rise for the explosive star. Has vast potential. RORY BEST: One of Ireland’s most successful captains ever. Chance to excel after failing to impress on 2013 Lions tour. JOE MARLER: Contest with Mako Vunipola for England jersey has seen both props grow in stature. Will relish given first bite of the cherry. Jared Payne has been ruled out of the match due to a calf strain so his place will be taken in the squad by Elliot Daly. England have made 2 changes with Billy Vunipola coming in at no. 8 and Anthony Watson on the wing. Vunipola makes his first start of the 6 Nations this year, after putting in a strong performance off the bench against Scotland last week. Watson makes his first appearance for England since last year’s whitewash tour of Australia. 15. Mike Brown (vice captain, Harlequins, 59 caps), 14. Anthony Watson (Bath Rugby, 25 caps), 13. Jonathan Joseph (Bath Rugby, 32 caps), 12. Owen Farrell (vice captain, Saracens, 51 caps), 11. Elliot Daly (Wasps, 12 caps), 10. George Ford (Bath Rugby, 34 caps), 9. Ben Youngs (Leicester Tigers, 69 caps). 1. Joe Marler (Harlequins, 50 caps), 2. Dylan Hartley (captain, Northampton Saints, 83 caps), 3. Dan Cole (Leicester Tigers, 73 caps), 4. Joe Launchbury (Wasps, 41 caps), 5. Courtney Lawes (Northampton Saints, 57 caps), 6. Maro Itoje (Saracens, 11 caps), 7. James Haskell (Wasps, 74 caps), 8. Billy Vunipola (vice captain, Saracens 33 caps). 16. Jamie George (Saracens, 16 caps), 17. Mako Vunipola (Saracens, 41 caps), 18. Kyle Sinckler (Harlequins, 7 caps), 19. Tom Wood (Northampton Saints, 49 caps), 20. Nathan Hughes (Wasps, 7 caps), 21. Danny Care (Harlequins, 70 caps), 22. Ben Te’o (Worcester Warriors, 7 caps), 23. Jack Nowell (Exeter Chiefs, 22 caps). Ireland have made three changes, with Jared Payne replacing the injured Rob Kearney (knee) at full-back and Kieran Marmion in at scrum-half, replacing Conor Murray, who damaged his shoulder against the Welsh. The only change in the pack sees Iain Henderson replacing Devin Toner in the second row. Leinster’s Luke McGrath may make his 6 Nations debut off the bench, while Andrew Conway has yet to be capped. Ireland v New Zealand preview: Will the Irish finally get lucky? Great review John, thanks! Don’t understand why it’s a 3-test series. That’s what really did it for Ireland against New Zealand back in 2012. I’d say that the Springboks will be looking at this as a trial run for the Rugby Championship and absolutely destroy Ireland. Heart-breaking news. Jonah Lomu was a legend of the game who transcended the sport of rugby. In his relatively short career he enticed everybody who ever saw him. Every time he got the ball the whole crowd cheered, no matter their nationality. I’ll always remember him tearing through the 4 Home Union countries, Ireland, Scotland, Wales and especially England, in the 1995 World Cup. Nobody had ever seen the like. He had all the makings of a global superstar, a Michael Jordan or Pele. And only 20. Unfortunately, illness took him down the way no opponent could. Even with all the trials he had been through, he still had a great spirit. A true great, who will be missed by so many around the world. Hopefully that fact is some consolation to his grieving family. Huge loss for Wales! I think Halfpenny is one of the best full backs in the world. He was supreme on the Lion’s tour 2 years ago. He’ll be sorely missed. Triple blow for the country, with scrum-half Rhys Webb and Jonathan Davies out as well. Shame for all rugby fans. You want to see the best players perform on the highest stage. Thanks for the corrections. The viewing figures was certainly a major mistake on my part. World Rugby have claimed that the cumulative viewing figures for the 2007 World Cup were over 4 Billion but that figure has since been widely disputed (I was way off the mark saying that a single match in any tournament got that amount of views!). It’s my own personal view that the Rugby World Cup has a more worldwide viewing audience than any sporting tournament apart from the Olympics and the Soccer World Cup. I should have double-checked the mistake about the Webb-Ellis Cup and where it was gotten. Tommy O’Donnell has become the first Irish rugby player to be ruled out of the World Cup, after suffering a hip injury in the warm-up game against Wales. We wish him a speedy recovery. This is a blow to Ireland’s hopes as O’Donnell is a great player and would have been utilised. Andrew Trimble is also an injury concern after suffering damage to his foot. It is yet unknown as to the extent of the damage. This is the worst possible news for Ireland. No team wants to lose any players in any of these warm-up games. Hopefully, these will be the last injuries but I doubt it. Just to say that when I was talking about Jackson and Madigan they’d be in competition over who would be Sexton’s understudy. Thanks for spotting that. 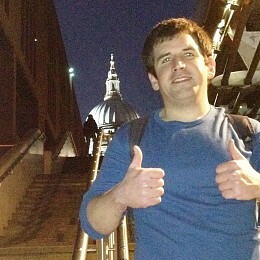 I don’t know where I got ‘Chris’ Michalak from?! I of course meant Freddie! Great write up John, thanks. It should be a terrific weekend of 6 Nations action. A great way to start the oldest rugby tournament in the world. Wales v England will be a cracker. As you said, the last time the 2 teams met in Cardiff, Wales put in an absolutely thumping performance. Add to that the number of injuries to key England players and we could see another drubbing. Ian Keatley has been picked to play at out-half for Ireland, ahead of Madigan, which is a surprising selection. I didn’t think Madigan played well for the Wolfhounds but I thought he was a safer bet than Keatley. We’ll see. Sean O’Brien makes a welcome return to Ireland, after a very long-off lay off (I don’t think he played for Ireland in 2014). Great to have him back. Unfortunately, Jaimie Heaslip is currently injured, so he’s replaced by Jordi Murphy. 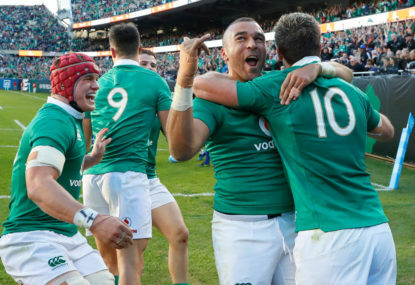 All in all, it’s a strong Ireland team that will want to get their defence of the 6 Nations’ title off to a strong start. I agree with you comments about Saint-Andre, though he seems to have chosen his best available team. The French provinces were in great form during the pool stages of the Rugby Champions Cup, and I think we’ll see some great things from them this year. Scotland have been disappointing for years, but they may finally be turning the tables under their new coach. They’ve finally found a coach that can take them places (though I’d like to see Stuart Hogg play more games at out-half). All in all, an exciting opening weekend of rugby. There are 4 legitimate contenders for the trophy this year, with Italy and Scotland wanting to score some upsets. A great starter for the main course of the World Cup. Great article, John. Terrific analysis of the team’s strengths and weaknesses. I also think Tommy Bowe is an integral part of the team. Hopefully the injury problems will have ended before the World Cup, but it’s doubtful. It looks like Sexton is already out for some of the 6 Nations. The team have a very tough itinerary leading up to the Cup. It’s to be hoped that Schmidt uses the warm-up games wisely. He will need to rest the star players so they aren’t fatigue, like you said. Ireland have a brilliant chance to reach their first-ever semi-final. Thanks for spotting that. I’d forgotten that France had appeared in the 2011 final! Only 2 Northern Hemisphere players? I would have liked to have seen more. A proper balance between players from the 2 hemispheres. I know that most of the top-flight European players are on club duty at the moment, and have their own international matches to worry about, but I’m sure JK could have found a few European stars to light up Twickenham. I miss the Babas’ days of old, where the cream of players in Europe took on a champion SANZAR nation. I think the Barbarians is 1 team that has really being affected by the game becoming professional. It’s 30 years since the Grand Slam winning Wallabies, including David Campese, Michael Lynagh, Nick Farr Jones and the Ella brothers (the only Australian rugby team to achieve a Grand Slam against the 4 Home Unions. That team was coached by none other than Alan Jones!) took on a star-studded Barbarians side, including Serge Blanco and Rory Underwood. The Wallabies won a classic game, 37-30. Ah, great days! The WRU have made a great decision in electing Michael Cheika to be the new coach of the Wallabies. Cheika is 1 of the top coaches in the world. He did great things with Leinster, winning 2 Heineken Cups with the province. He’s also done a superb job with the Waratahs. Some coaches have found the transition from provincial to national coach difficult (as have some players) but Cheika should prove up to the challenge. He has a tough itinerary ahead of him, with a tour of Europe, followed by a Rugby Championship, before the all-important World Cup. All this while coaching the Waratahs as well. Good luck to him. The Wallabies have shown that they can be a great team, they just need the right coach in charge. Cheika should be that coach. I don’t agree with Alan Jones on this 1. In my view, John Eales was 1 of the best players and captains, in rugby’s history. He would be up there with Martin Johnson as the 2 best locks I’ve seen since I became a fan (early-90s). I don’t know how well he is doing as an administrator so I can’t comment on that. Alan Jones has always had a reputation for being outspoken. He was a guiding force for some of Australia’s greatest ever players, including David Campese, Michaels lynach, Nick Farr-Jones and the Ella brothers. Alan Jones is entitled to his opinion, as we all are, as long as he can back it up with his reasons. Thanks for reading the article. Irish out-half Jonny Sexton will be leaving Racing Metro at the end of this season and returning to Ireland to play for Leinster. The IRFU has been able to get independent funding, through businessman Denis O’Brien, to help pay for Sexton’s contract. The IRFU also has plans to use other private investors to help keep international players from signing with foreign clubs. The independent support is the only way that the IRFU can afford to match the higher contract offers from overseas clubs. I’m not sure of the exact story in Wales. 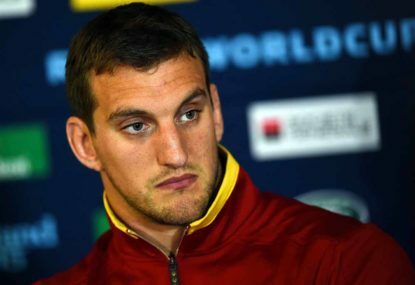 Sam Warburton is being paid jointly by Cardiff and the Welsh Rugby Union for his contract. It’s a big problem in Wales, as several Welsh players ply their trade for foreign teams. The Welsh clubs have come to an agreement with the WRU, though, which should hopefully pave the way for a concerted effort to bring the Welsh exiles home and get them playing in Wales again.